Hello, everyone! Christian Hammond here, one of the founders of Review Board and Beanbag. 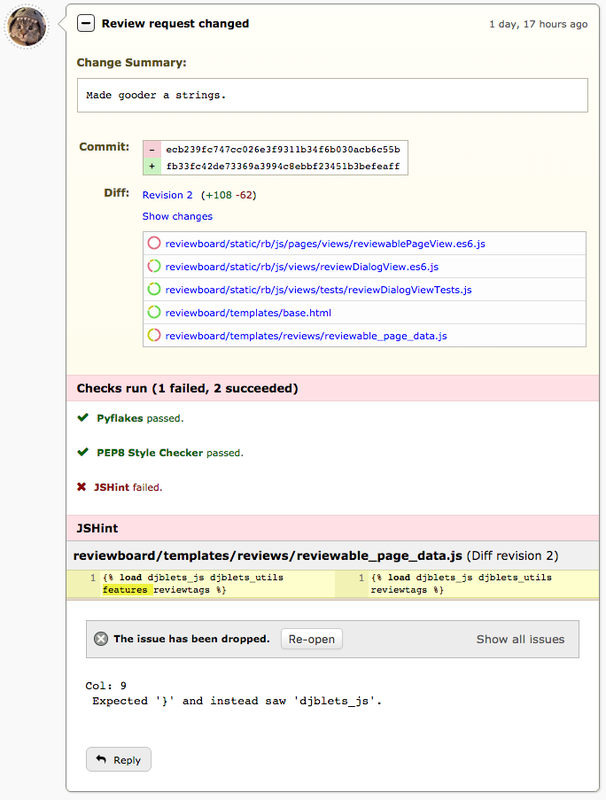 We have a webinar coming up on Upgrading Your Team's Code Review Experience using Review Board, hosted by Bitnami. We'll be going over the importance and benefits of code review, how Review Board can help save you time and sanity during the code and document review process (did you know that you can review documents and images? ), and we'll talk about some of the upcoming features of Review Board 3.0 that you're going to like. There will also be a demo followed by a Q&A. This is a great opportunity to ask us anything you might want to know about Review Board. The webinar starts on July 12th at 9AM PST (4PM UTC). Join us! You can register for the webinar if you want to attend or see the recording once it's over. If you have teammates, managers, or friends who might be interested, please forward this along to them and ask them to register as well. It helps us to have a good head count. 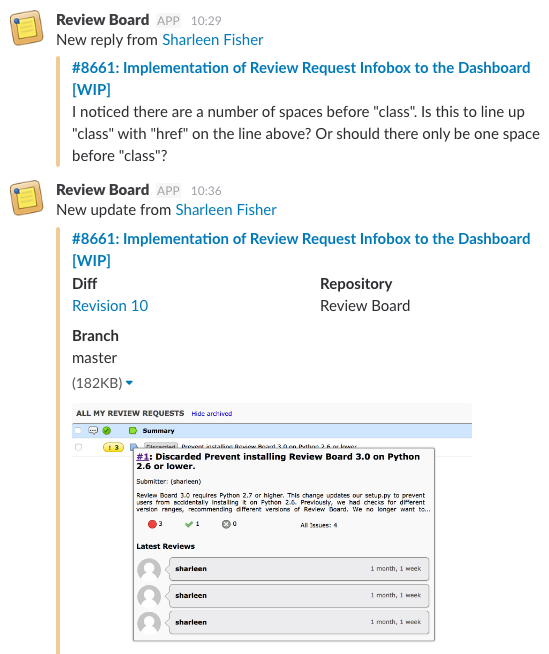 Review Board 2.0.27 and 2.5.9 are out! We have two new Review Board releases for you today, containing some large bug fixes and a couple new features. Last week, we released Review Board 2.0.26 and 2.5.8, which had quite a number of important bug fixes for the product. Unfortunately, some of those fixes regressed other features, and we didn't want to go too long without fixing those. Specifically, we broke support for API tokens and we unintentionally altered the ordering of comments in drafts from the API. 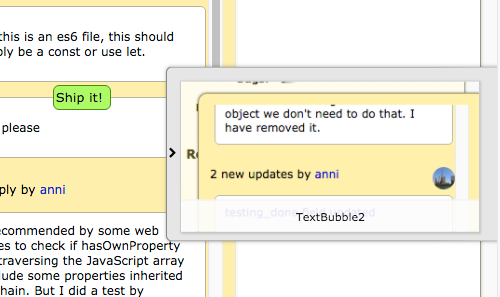 Text selection in the diff viewer once again works properly on Firefox. We've worked around a bug in Python's logging.exception() (fixed in Python 2.7.6) that resulted in crashes for users on older systems. Extensions adding forms to the My Account page will no longer have problems setting the forms as invisible. Bumped up our minimum required version of pytz, to fix compatibility issues on older systems. Mercurial users can now browse and post existing commits in the New Review Request page (requires Mercurial 3.9 or higher). Extension authors are now given the old status of a review request that's been reopened in the review_request_reopened signal. API users can now view and query for inactive (disabled) users.